Nestled between the foothills of the Smoky Mountains and the Tennessee Valley, the town of Sevierville flourishes. With a spectacular location, storied history and great amenities, Sevierville is a picturesque place to call home. Breathtaking views surround Sevierville, with fog-shrouded mountains looming in one direction and twinkling city lights winking in theother. The confluence of rivers paved the way for trade and economy hundreds of years ago, inspiring Native Americans and then European settlers to put down roots. Following in their footsteps, modern residents have continued to settle down in Sevierville, where small town community meets mid-town amenities. Sitting just ten miles away from the Great Smoky Mountains National Park, Sevierville has a vivid history, from arson and vigilante groups to railroads and superstars. 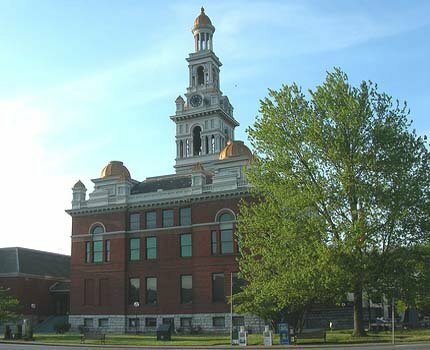 The current courthouse, with its beautiful architecture and notable 130-foot tall clock tower, is the fifth courthouse, built in 1896. Rumor has it the first courthouse was actually a flea-ridden barn destroyed by an arsonist. The oldest building in Sevierville is the New Salem Baptist Church, built in 1886. Sevierville is full of historic landmarks, buildings and barns. A drive through Sevierville guarantees an overview of architecture for the past two hundred years. Sevierville is named for Tennessee’s first Governor, John Sevier. Sevier was full of stories himself, from serving under George Washington in the Revolutionary War to his role as a Tennessee state senator and later serving in the U.S. House of Representatives. The railroad set the path for increased tourism. The designation of the Smoky Mountains as a National Park in the 1930s introduced tourism to the region, cementing the foundation for the town we know and love today. The beloved Dolly Parton was born here, and has delighted millions with her big voice and passion for childhood literacy. She’s certainly made her mark on the world and Sevierville, with the Dollywood parks and the Dolly Parton Parkway as a part of her legacy. One of the many perks of living in Sevierville is the proximity to the Dollywood Parks. With their multitude of annual seasonal events, a day of memory making is only minutes away. Sevierville offers the community of a small town with the benefits of a larger one. From shopping at the well-known Tanger outlets to dozens of attractions including mini-golf and dinner shows, entertainment abounds. Multiple grocery stores and an excellent health care system make day to day living a breeze. The proximity to the Great Smoky Mountains National Park, Pigeon Forge and Gatlinburg attractions serve as the icing on the cake. From homey log cabins to new construction homes, there’s something for everyone in Sevierville. As always, the Jane Terrell team is here to help with all of your real estate concerns. If you’d like to view our current Sevierville home listings, you can find them here. Have you visited Sevierville recently? What history struck out to you the most?